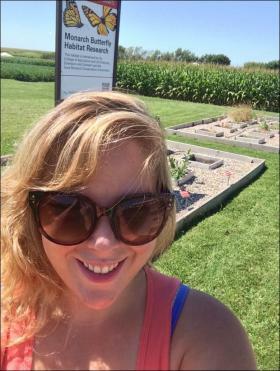 Join the ISU Monarch Workgroup as a summer research intern! Lab and field technician roles for both monarch and milkweed research are available. All levels of experience are encouraged to apply and applications will be reviewed until all roles are filled. Summer positions are full-time - see details below! In this role, you will assist researchers with field and/or lab activities. Field research will incorporate milkweed demonstration plots and edge-of-field conservation practices to examine the ecological responses of butterflies, bees and plants. 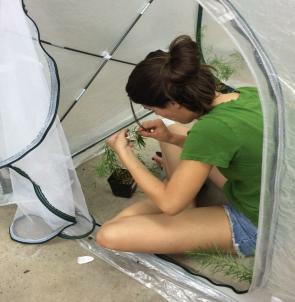 Lab research may include plant rearing, monarch rearing or assisting with oviposition lab trials. Other duties: data collection, data entry, database management and maintenance of field equipment. Positions are full-time (30-40 hrs/week) May to September, 2016. Compensation is $10/hr or according to experience. Preference will be given to applicants with coursework in entomology, biology, ecology, environmental science, wildlife, natural resources, forestry, horticulture, plant pathology, agronomy or related fields. To apply, email a PDF resume, cover letter and contact info for 3 references to Dana Schweitzer, program coordinator, schweitz@iastate.edu.